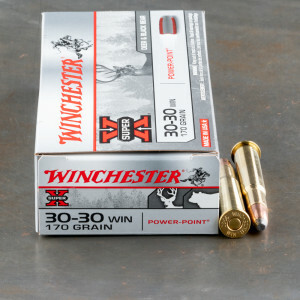 30-30 Winchester ammo was introduced in 1894 as a companion cartridge to the model '94 Winchester Lever Action Rifle and was the first commercially available cartridge to be loaded with smokeless powder. 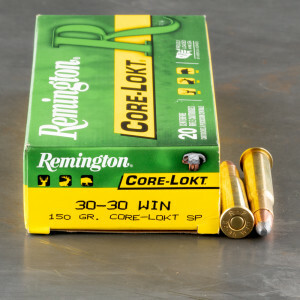 30-30 ammo actually began life as a breech-loading black powder cartridge and thus its numerical designation which indicates that it is a .30 caliber cartridge that was loaded with 30 grains of black powder. 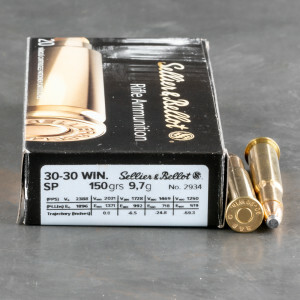 In fact, compared to other rifle cartridges of the time, the new .30-30 Winchester cartridge loaded with smokeless powder provided the hunter with much greater firepower than was presently available in a mid-bore caliber. 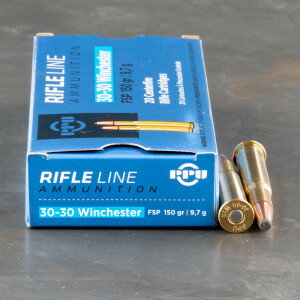 Judging by today's standards, the .30-30 Winchester is somewhat underpowered but, even so, according to ammunition manufacturer's sales records, it is still one of the most popular rifle cartridges ever designed. In fact, it is especially popular with Eastern deer hunters who commonly hunt their chosen game in dense hardwood forests and thus, they appreciate the quick handling characteristics of the lever action rifle and the moderate recoil of the .30-30 Winchester cartridge. Consequently, it is often chosen as the first rifle for young deer hunters for this very reason and, when loaded with lightweight lead "plinker" bullets, it also makes a fun target rifle. 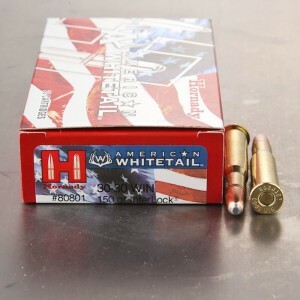 In addition, bullet weights for this cartridge usually rage from 100 grains to 170 grains and are normally available in a wide range of types. It should be noted that when using this cartridge in rifles with tubular magazines, it is imperative that you only use bullets with either flat noses or the new elastomer tips in order to prevent accidental discharge caused by the rifle's recoil. I dialed my Winchester 94 in with this round with a Burris 3X scout scope mounted. It is accurate, and has noticably less recoil than 150 grain rounds. The fast expansion and light weight make this a great defensive round. 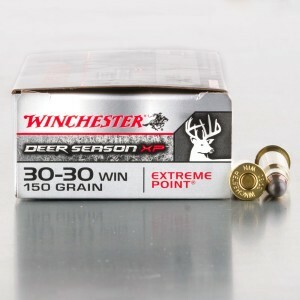 this round is in my opinion, is the go to round for the 30-30, for deer, super accurate, and it hits like a 30-06, I use the 150gr. and absolutely love it, I wouldn't be afraid to hunt black bear using this round. Im not a hunter but have always enjoyed target shooting at long ranges. My Uncle started taking me to the out door ranges when i was a teen. Im almost 50 now and like to think im a pretty good shot. I have a Ruger mini-30 (7.62x39) a Remington 308 bolt action, and a model 96, 1960 Winchester 30:30 and its got the shortest range of the 3 rifles i mentioned.. Having said that, these rounds really changed the game on the range and flight characteristics of regular 30:30 ammo. It increases your range to about 250yds maybe a bit more if your good enough and the wind is kind to you...(this is at a range shooting from prone). I'm also one of these guys that made a special mount to hold a scope on the 30:30. Its top eject so the scope sits forward. (Ive been a machinist for 30 yrs and made my own mount...and no i didnt drill into the gun...it's a mint, pre 1964 model 96...im not crazy). Bottom line...i love this round. I know there will be doubters on the 250yrd range i have experienced.. Non the less this has been my experience with this ammo and my 30:30. What Types of Rifles Fire the .30-30 Winchester Cartridge? The .30-30 Winchester was originally created for lever-action rifles. As such, most of the bullets you find loaded in these cartridges will have a rounded nose, which allows for better feeding in tube-magazine firearms like lever actions. A sharp, pointed bullet nose, which you’ll often see on cartridges for semiautomatic weapons, can more easily jam in the rifle when cycling. 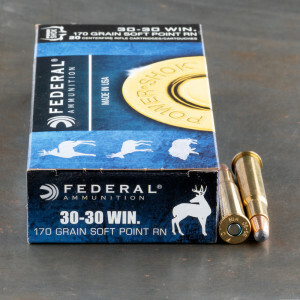 The .30-30 Winchester is the iconic lever-action cartridge, and you can find many firearms from companies like Marlin, Henry, and Winchester chambered for this round. How Does the .30-30 Winchester Compare to the .30-06 Springfield? These are two very different cartridges that were made for different purposes and developed under different circumstances. The biggest difference is that the .30-30 Winchester was developed for lever action rifles, while the .30-06 Springfield was specifically meant for military use, which by 1906 meant semiautomatic and automatic rifles. 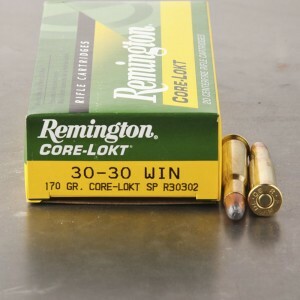 There are major differences in overall shape and size, but from a performance perspective .30-06 Springfield ammo is generally faster and more accurate. 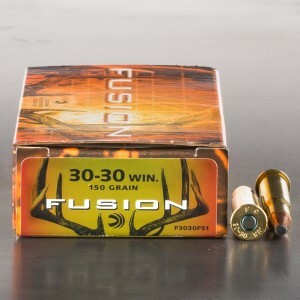 You will find that muzzle speeds for the .30-30 Winchester top out at about 2,700, while the .30-06 reaches speeds of roughly 2,900. (There is a lot of overlap in muzzle velocity, however.) Assuming the same bullet size and manufacturer, you will find the .30-06 is, in general, more accurate. How Does the .30-30 Winchester Compare to the .308 Winchester? 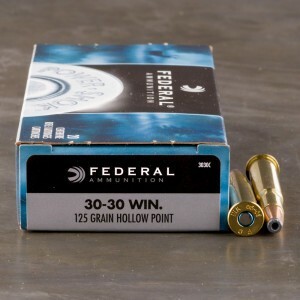 Because the .308 Winchester ammo is a newer cartridge (developed in the 1950’s), it has the advantage of advanced materials and designs. As such, it is almost always more powerful and faster than the .30-30 Winchester. While the .30-30 Winchester is about 1,700 to 1,900 foot-pounds in muzzle velocity, the .308 Winchester is consistently near 2,900. 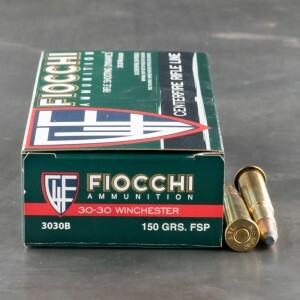 Why Should I Choose the .30-30 Winchester? We just compared the .30-30 Winchester to two cartridges and found that it is generally less accurate and less powerful than the other options. So why then would you choose this cartridge? 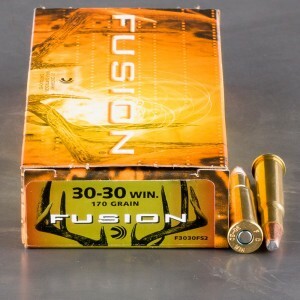 Because it’s one of the few rifle cartridges specifically designed for lever-action rifles, and, despite being overshadowed by modern cartridges, it remains extremely effective for both target shooting and hunting. It may not be ideal for long-distance shots in the openness of the western U.S., but in the dense eastern forests, it can be a great tool for deer hunting. Which .30-30 Winchester Cartridges Should I Choose for my Rifle? 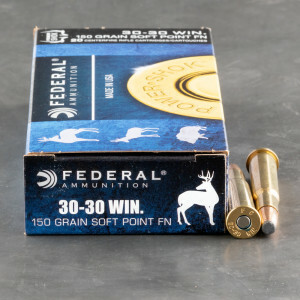 If you are using the .30-30 Winchester for target shooting, a full metal jacket may be ideal, as it will give you less fouling in the barrel, as well as smooth feeding. However, when hunting with the .30-30 Winchester, choose an expanding round like a soft point, hollow point, or even partition bullets.